Looking for a healthy low carb appetizer for your next party? Try this simple recipe. It has just 4 ingredients and is a perfect snack or appetizer. 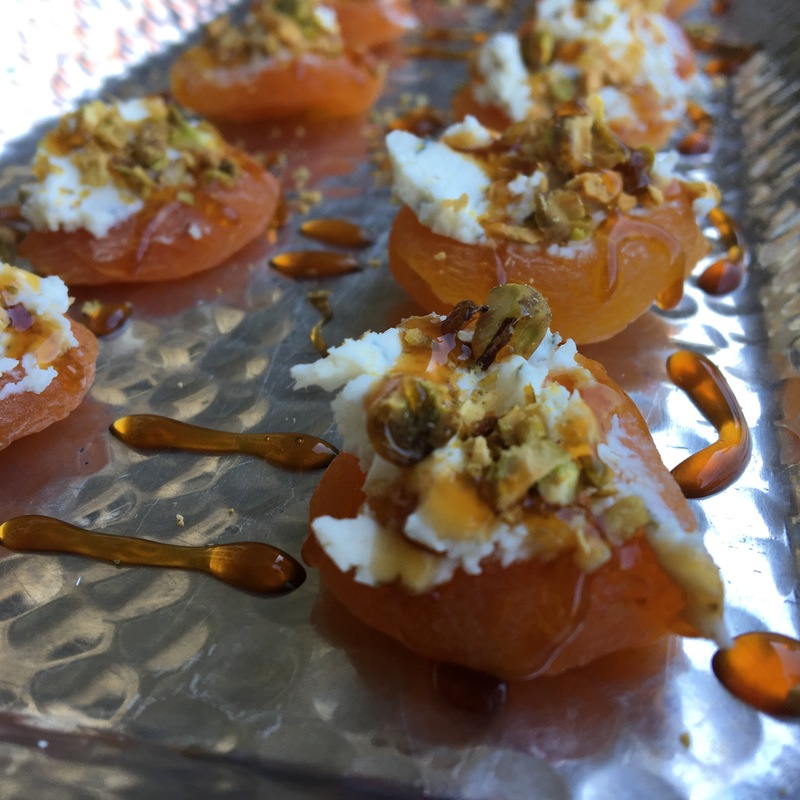 Dried apricots topped with creamy goat cheese, nutty pistachios and just a drizzle of honey make a perfect combination. Tip: To avoid putting too much honey on each apricot bite, place honey in a ziplock plastic baggy. Cut off a small corner of the baggie and squeeze honey from the hole onto each apricot to add just the amount of sweetness to each bite. Creds to Jess @ jessfuel.com for this yummy recipe. Her recipe is for a larger crowd and yields 3 dozen of these yummy treats. I simply cut the recipe in half. Check out all her other easy recipes.